The focus of most managed futures firms is always on the immediate price risk from daily trading. Does the market move against my position and how does that effect fund performance? Most will say if they control those daily risks everything else is secondary. I was asked the question of what are my greatest concerns that are not directly related to price. 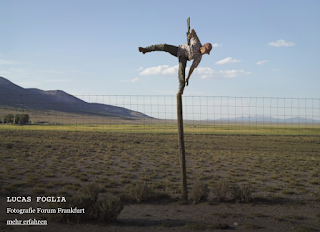 I have come up with a set of risks that are not generally thought about during the daily activities of the portfolio manager but are relevant to the core business. This top ten list has no special order and I would be happy to hear from others on the non-price risks that we should be worried about. 1. 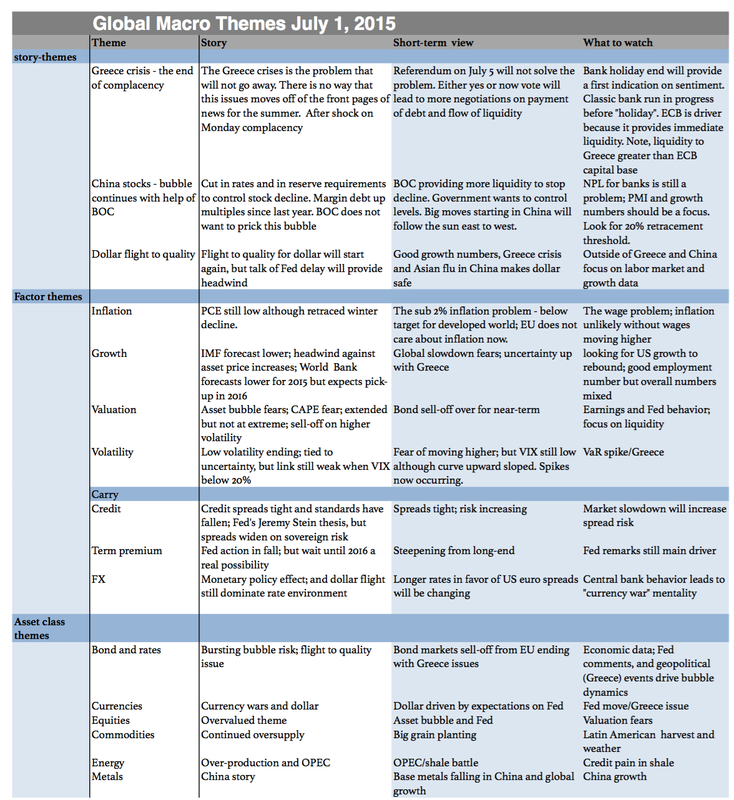 Volatility (geopolitical/regulatory) event - The Greece and China crisis are two events which dominated the second quarter. Given the high degree of uncertainty, markets were choppy and did not follow any smooth patterns. The cause was the uncertainty concerning the actions of politician who can change the rules of the game. Game changing will have a significant impact on prices in ways that may not be mapped into the past events. These were "known unknowns." Many knew Greece would be a problem but few predicted the current outcome. The same applies to China. Most thought there was a bubble but few expected the policy applied by the government. 2. Margin increases - Increases in margin will have an impact on the cost of business as well as on the behavior of others who may be more capital sensitive. While volatility in many markets is down, there have been some exaggerated moves that create the potential for margin changes and feedback loops into prices. 3. Flash crashes - We have had equity flash crashes and we have had a bond flash crash. What is the probability that we will see another one in the next year? There is little that has changed structurally other than the fact that we now know that they can occur. If you have stops, this can be a major portfolio problem. 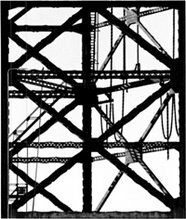 4, Market stoppages - It seems as though governments believe that markets are too important to be left to investors and traders. There is a stronger belief in the use of heavy-handed action to stop market declines. Just ask the Chinese government. Market stoppages are a real threat. 5. FCM risk - The FCM community is getting smaller, so futures risk is being more concentrated. The costs of trading will be going up and the choices available to traders has been falling. This is not good for those that need liquidity and are small. 6. Bank risk - There is more concentration of money in fewer banks who are dealing with higher capital requirements. They will not be market-making and their trading has been curtailed. The banks are not the same presence in futures markets as pre-2008. To some this may be a good thing, but there is high market risk on what will be the capital commitment to trading in a liquidity event. 7. Cash management - Yes, the Fed will be raising rates and there may actually be some interest acrrued in bank accounts, but the restrictions on money funds mean that your money may not be available to you in a crisis. The money funds also are required to have more liquidity through holding short-term liquid assets. This is will have a yield drag on funds. 8. Seg funds - With more FCM risk, low yields, and bank risk, there will be risks to margin money placed in set funds. New regulations limit what FCM's can do with cash provided, but if you ask most investors, there is not perfect clarity on what will happen in a crisis. Smart money minimizes the amount of funds held in seg funds. 9. Credit risk and CDX/swap risk - Credit risks are not traded in exchange traded futures but credit risk will spill-over into risk-on/risk-off trading. This is not usually monitored by managed futures managers. The swap risks which are now being exchange cleared are something that has not been tested through a crisis. 10. ETF flows - The ETF markets has grown substantially over the last few years and their trading has already impacted some commodity markets like oil. The trading in these products is mix between retail and institutional, but if liquidity is scarce, flows out of ETF's will spill-over to futures markets in ways that are not clear. 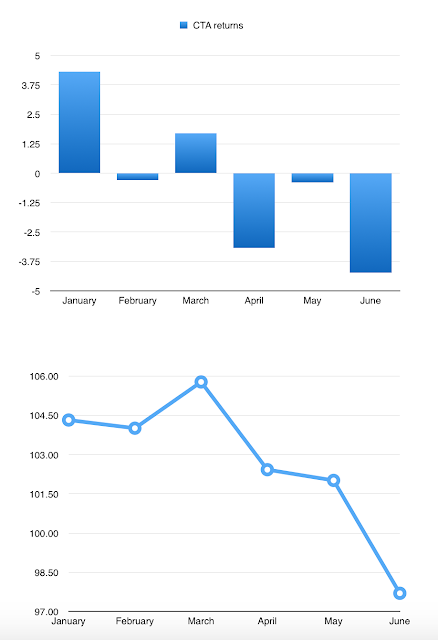 Tracking flows has become an essential for measuring sentiment. 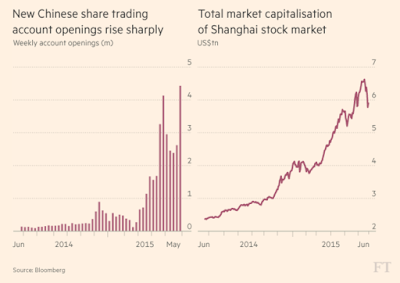 The gyrations in the Chinese stock market have taken on a life of its own. The government is trying to place a floor on any decline and new investors are seeking to profit from a market that has exploded in the last year. These investors are not value players but stock newbies that want to ride momentum just like the real estate market a few years ago. The saving herds have moved from real to financial assets and the government is trying to provide some type of floor on loses. There is no question that the move to higher levels is conditional on the large amounts of liquidity provided by the central bank. This liquidity has allowed for a high amount leverage like what we saw in the real estate market. Margin debt has marched in step with the market increase. In many ways, the government controlled real estate through managing the supply and liquidity. Now in the stock market, we are also seeing the government control leverage, supply, through stopping IPO's, and buying. We have seen this story before. What is odd is the disconnect with fundamentals for the last year. While the 7% growth story has continued, the fundamentals do not suggest the size of the market surge. The liquidity story may be consistent with the surge no different than the asset price moves in other countries that have increased liquidity. Combined with higher pent-up demand, the liquidity increase moved with changes in sentiment from real estate to financial assets. With the decline in stocks, we have seen a pick-up in real estate demand over the last two months. It may be early to suggest a connection but it seems that there will be swings in demand between these two asset classes based on the ability to borrow and the sentiment of investors. This is a dangerous game since both are risky assets. Any surprise decline in growth may cause investors to search for a new safe asset when there is none to be had. 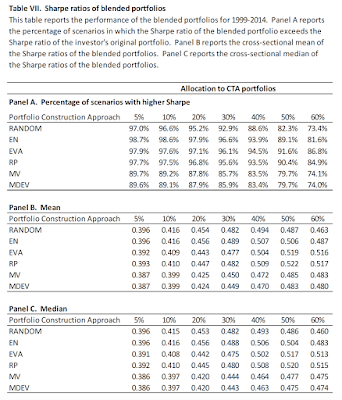 A new paper discusses how to use simulation to help evaluate hedge fund investments. 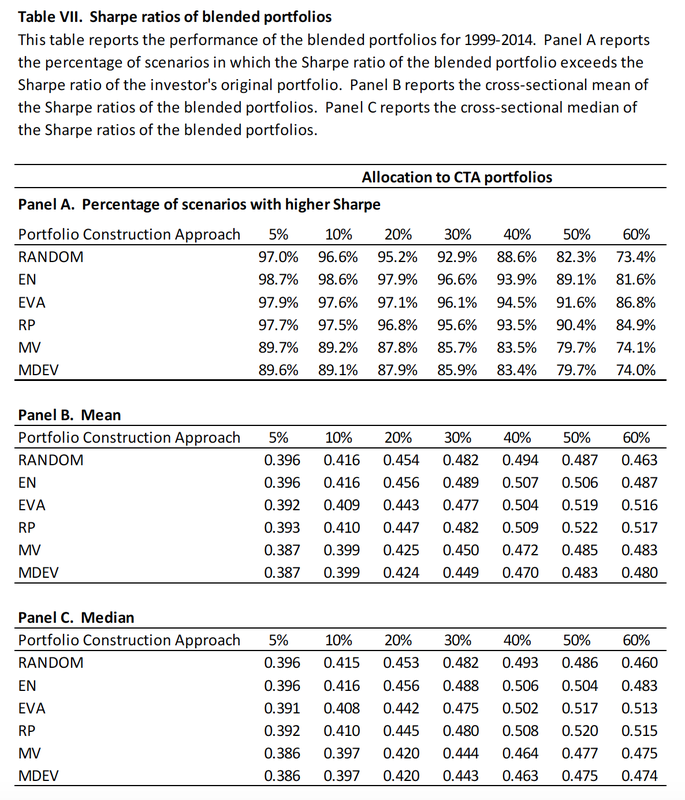 The paper provides a simple methodology for running simulations across a number of allocation approaches which can provide added insight on the value of hedge funds. 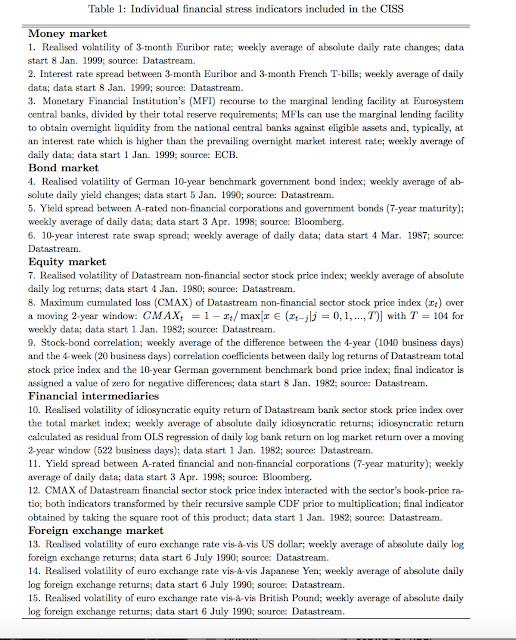 The authors, Marat Molyboga and Chris L'Ahelec, simulate the performance of adding 10% managed futures to a classic 60/40 stock bond mix. The simulations were run for a number of portfolio structures ranging from minimum variance to equal risk as well as a control of random managers. 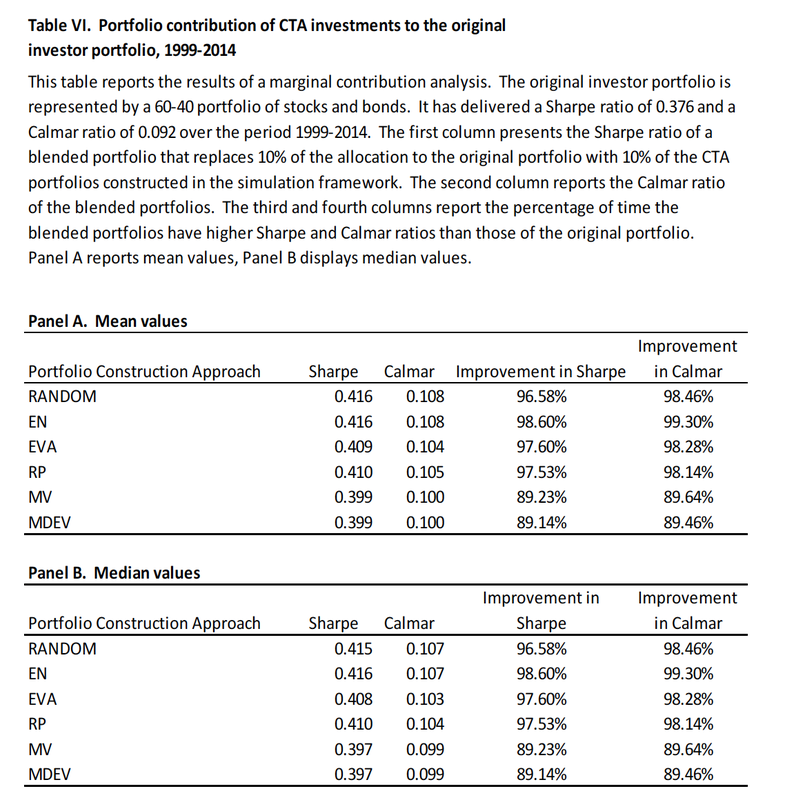 The authors find that managed futures will provide meaningful improvement in Sharpe ratios and other portfolio statistics. The tables below show the improvement in the Sharpe ratio of adding just 10% managed futures through a number of approaches. This is simulation over a long period provides strong evidence that a reasonable small allocation can make a difference. There have been studies that have shown the value-added of manage futures, but the numbers are often out of the realm of what would be normal for most investors. The simulations show that there would be improvement in well over 95% of the cases run. 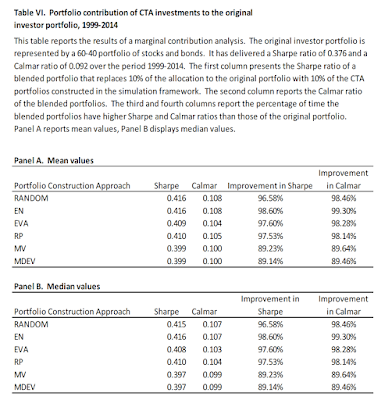 The comparison of portfolio approaches show that simple volatility equalization will be more effective than a minimum variance approach. Given the process of simulating portfolio returns, we can be very comfortable that there is improvement with diversifying with managed futures. The stock-bond relationship is the most important in all of asset allocation work. Stocks and bonds are the two major asset classes that all investors hold. Call it the core holdings. The success or failure of asset allocation will be driven by how this relationship changes through time and how investors make their weighing allocation. 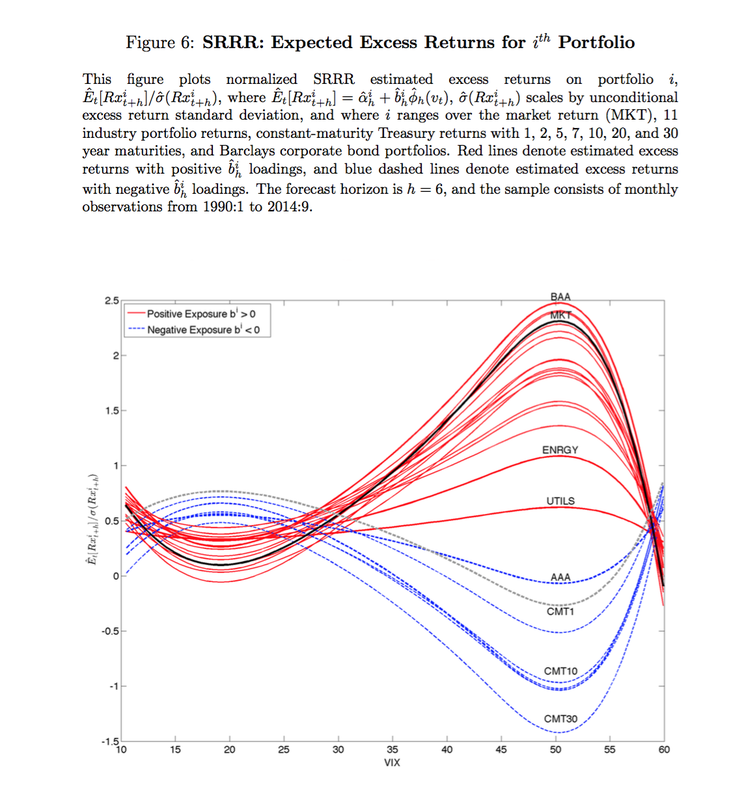 A FRBNY staff paper, Flight-to-safety in the nonlinear risk-return tradeoff for stocks and bonds, focuses on one area of this allocation question, the link between stocks and bonds with volatility. The result show that there is a high degree of sensitivity between stock and bond returns and changes in volatility, but the form of that relationship is highly nonlinear. As volatility rises stocks will do better on a risk-adjusted basis, but at some level there will be a significant decline in returns. There is "too much"volatility and there is a flight to safety into bonds. 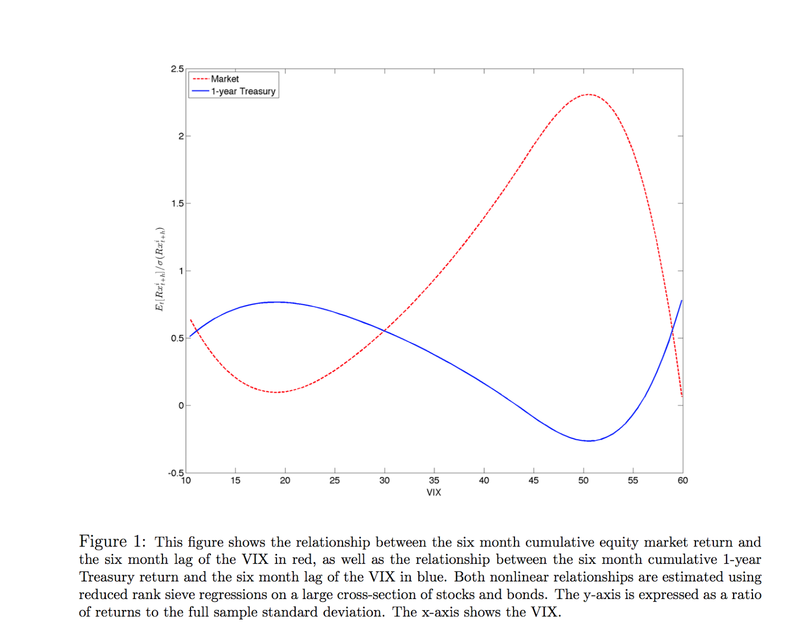 At low volatility markets may favor bonds or be indifferent between the two asset classes. This story is consistent with what we have seen with the VIX as a "fear index" Small increases will not matter but at some point, fear takes over. This pattern is similar across many equity and bond sectors. Dynamically adjusting stock and bond allocations to volatility is a simple way to add value to any asset allocation decision process. Just don't use a linear approach but focus on thresholds for portfolio adjustments. CTA's - What went wrong in the second quarter? 2015 started out as a great year for the trend-following CTA hedge fund style. The chest thumbing by the managers got louder during the first quarter as performance continued to show strong positive results after a strong second half of 2014, but then performance nose-dived as measured by the Newedge/SocGen CTA index. This decline in performance is stark when compared with other strategies which actually had positive second quarters. CTA's have moved from the best performance in the first quarter to the worst across all major hedge fund styles. Within the global macro/CTA sector, it has been noticeable that trend-followers have done worse this year, with short-term managers also generating negative returns. The quantitative global macro managers have flat to slightly negative returns and the discretionary managers have generated positive returns. So what happened to the trend managers? 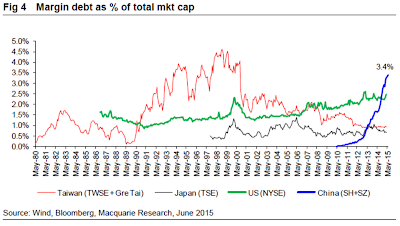 There was a crisis in Greece and a crisis in China both of which should have been good for managed futures. Nevertheless, managed futures managers both short-term and longer-term were not able to take advantage of these crises, so the first thing is to focus on why those events were bad for CTA's. Managed futures (trend-followers) should do well during a crisis, or that is one of the key marketing arguments for managers in this strategy. CTA's focus their marketing on their negative correlation with stocks during market sell-offs implying that when there is a reason for a market decline, CTA's, with the ability to go both long and short, should do better. 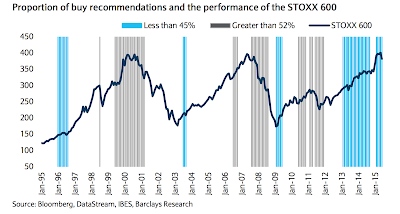 Nonetheless, all crises do not result in good CTA performance. 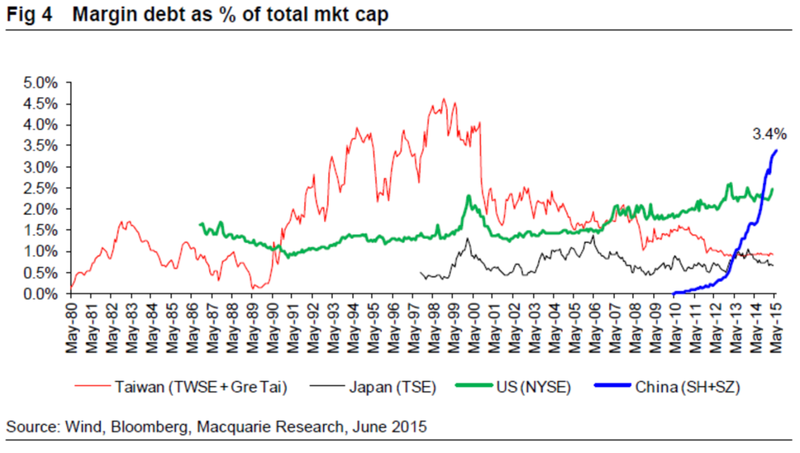 It is notable that the Greek and China crises did not lead to any strong decline in equities around the world. There was no contagion across global markets. There was only a 4% decline from quarter highs in the SPY during the month of June. There was no crisis effect, albeit there were some key reversals in trends. The discretionary traders have been able to exploit or adapt better than the systematic managers for these unique events. For a strong trend-follower performance period, there has to be a crisis that either takes time to evolve or will have longer-term impact on prices. A short surprise event that then is resolved will not be a good environment for systematic trading. At best only short-term managers may profit. The are two reasons for under performance. First, if the manager has stop-losses, a surprise event can trigger stops. If the event has a short-term effect that moves back to trend, the stop-out effect will eliminate trading potential. The same problem exists for models that have a single reversals. A sharp price move may lead to a change in position direction that then moves back to trend. Second, a short-term event that reverses may be unprofitable because the time to entry is too late. This results in a whipsaw event. A price trend is identified and entry signal are triggered only to see that the trend does not continue. The crises were more singular events. These type of singular events will occur more often with individual stocks, but the smaller position sizes and diversification will reduce the impact on the portfolio from non-contagion events. In the macro trading case, the position effects are larger and hence will be more meaningful impact on the portfolio if you are wrong. In currencies and bonds, there was rangebound behavior which precluded profitable trades and loses from the end of previous trends. A close look at some markets such as WTI, the dollar, and bonds all show the potential for signal reversals and limited profit opportunity. It also shows that trend started in the second half of June have continued and have made for a better performance in July. Taleb states predictable surprises have three characteristics: 1. there are some who are aware of the problem; 2. the problem gets worse over time; and 3. the problem explodes into a crisis. The Fed has been trying to telegraph its intentions so has to minimize a surprise vent when they start to raise rates but this is likely to be a predictable surprise. There are many who are aware of the problem if the Fed starts to raise rates. The Fed has actually argued that everyone should have had enough time to prepare for the increase but it still seems as though many will be sensitive to the event. We first heard about a change in policy with the Bernanke "taper", yet it seems as though the market is still sensitive to Fed comments and potential changes. The problem may have gotten worse as market participants have tried to determine how the Fed is actually going to cut its balance sheet. The greatest fear is that the actual event will still have a sizable impact on market which could spill-over to a crisis of selling in a market that does not have liquidity. We know the event is coming, yet even with a lot of forewarning it is not clear how the market will react when the rates start to move higher. What does it take to have a contagion event? 1. Sizable - For a contagion to exist there has to be a market problem that will be large and effect a broad set of market participants. The Greek crisis is sizable, but not for private investors given most have sold their bonds. The size of Greece is small versus many other economies. 2. Connectedness - An event that leads to contagion has to be connected across markets and market participants. In the case of Greece, the impact has to affect all of the EMU and beyond. China is not as connected as other stock markets because foreign investors are a small part of the market. 3. 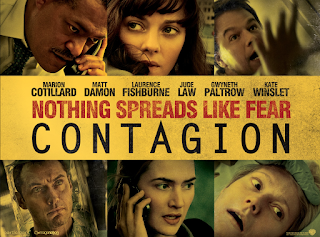 Surprise/shock - The event that starts the contagion has to be a surprise to the market. The Greek referendum was a shock to most market participants. The sharp decline in China equities was also a market surprise. There was a strong element of surprise. 4. Emotional - The event has to play on emotions or can be visual. The long lines at Greek ATM's is emotional. The chart decline for China equities is emotional. As they say in news, "If it bleeds, it leads." 5. 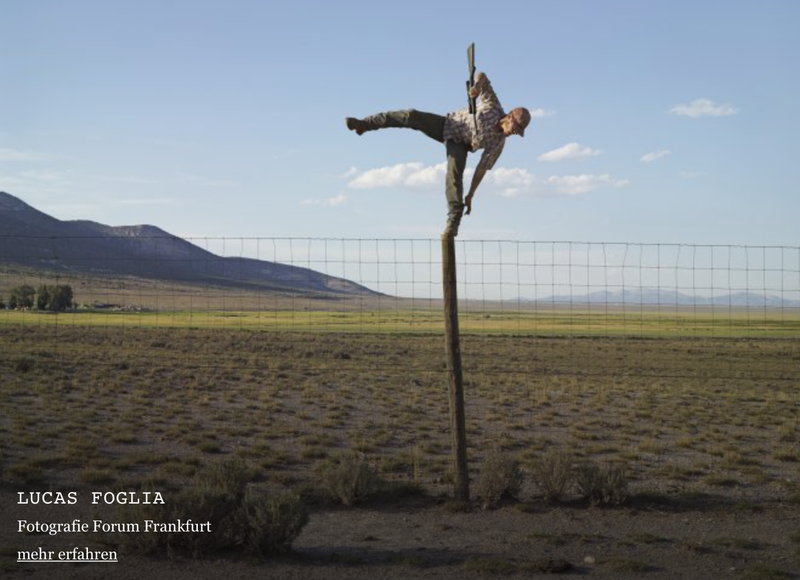 Suggestible - The event has to be connected to other around the globe, but also has to have suggestibility as to a greater threat to the markets. If there is a Greek crisis, it suggests that there will carry-over to other countries. 6. Leverage - Without a doubt, leverage is the gasoline that will drive any crisis fire. Margin lending in China makes the market decline a bigger event than normal. Levered real estate loans is what made the housing crisis worse than expected. 7. 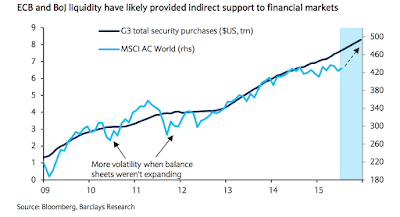 Homogeneity of balance sheet and expectations - To get the contagion to take hold, there has to be a large number of market participants having the same position and expectations before the surprise event. The market is tilted in one direction and there is a catalyst that switches or changes expectations. 8. Cascades and liquidity shortage - The shift in expectations leads to cascades of behavior. There is herding. A negative market event creates an environment where others will follow the shift and start selling waves. Markets become one-sided with a shortage of liquidity because everyone is thinking the same. 9. Vulnerabilities - The contagion will have a stronger impact if the firms are vulnerable to the shock. The size of their positions could be large. The size of loses could have an measurable impact on performance. 10. Cheap money - Leverage only occurs because there is cheap money available, so for any crisis there has to be cheap money that causes market participants to reach for return relative to risk. All of these should not be given the same weight and their is not a specific order to our list, but most should be present to have a significant contagion event. These are not easily quantifiable except for what may be most important, leverage and cheap money. When there are the two, there will be the chance for a crisis to take hold. The dollar has been on a strong upward trend. There are good economic reasons for this trend. Growth in the US has been strong. Rates on the longer-end of the yield curve have been higher than other G7 countries. Monetary policy is expected to be tightened relative to other G7 countries. If you don't believe this story, look at the flows. The BNY cumulative flows show strong buying pressure for the dollar. The current strength is unusual. You can interpret the flows numbers two ways. One, there is more buying than selling for the dollar which will push prices higher. Two, the flows is just a signal or manifestation of what is happening in the economics. 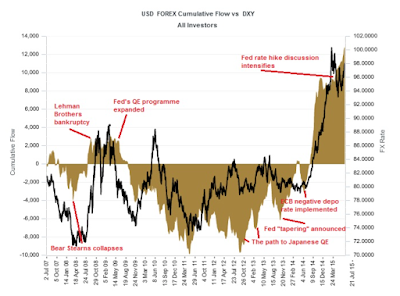 The monetary policy events change expectations which lead to changes in dollar flows. The data, however, may be coincident to the price action, but it does confirm the strong positive sentiment for the dollar. Of course, the BNY data is one part of the total flows in foreign exchange. We do not have the total market, but it does provide a useful signal on crowd behavior. 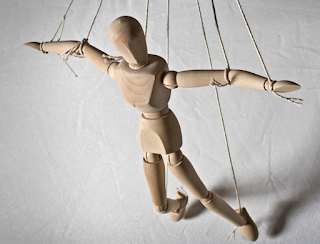 The last week may represent the end of volatility and further ascent of manipulated markets. With a fall of just under 40% in five days, the greatest in 25 years since the VIX contract began trading, the market has said fear is gone, risk is gone, uncertainty is a thing of the past. 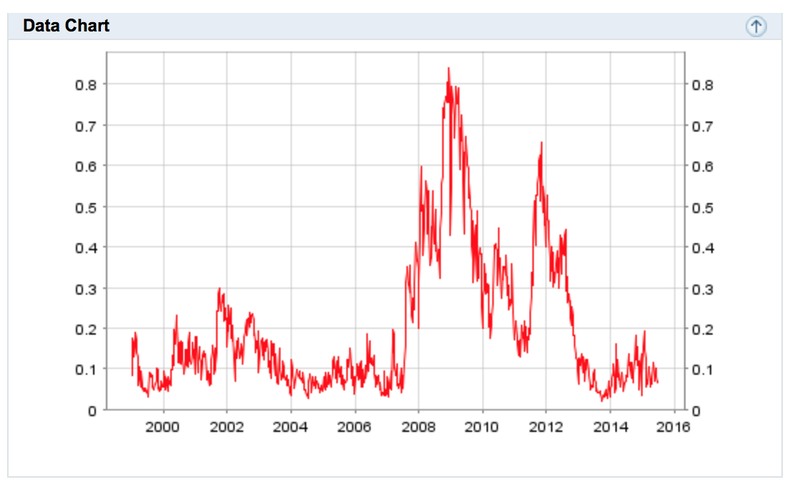 Now I don't really believe that uncertainty is gone for good or that volatility has truly disappeared but the fall after the Greece and China crises suggests that global markets are just being manipulated through government intervention and regulation. There is no tail risk in markets because governments do not want anyone to feel the pain of loss. 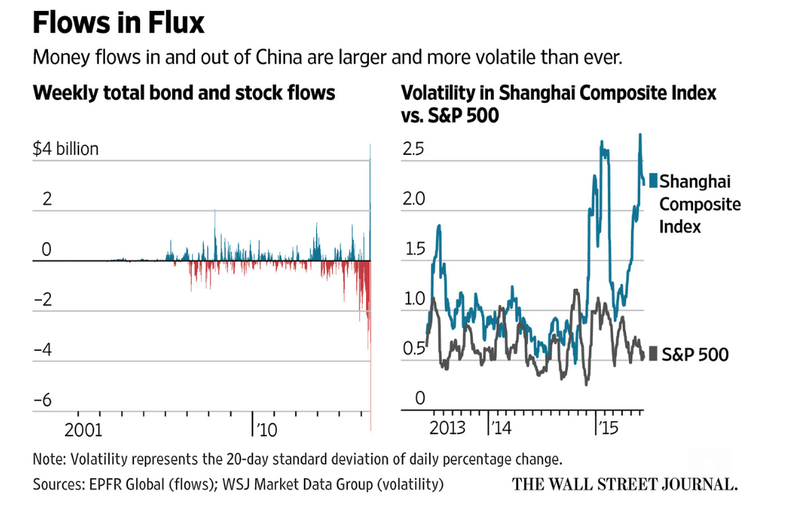 China has outlawed downside risk. Through providing liquidity, changes in margin lending, stopping supply through a suspension of IPO's, restrictions on futures trading, and pressuring the direct purchase of stocks, market signals have no meaning. There is no sense of valuation. If you think stocks are worth less, it does not matter. Governments will keep prices from collapsing. There is big differences from price limits or circuit breakers to slow market declines and give investors time to assess versus the current no downside rules. Greece is a similar story. 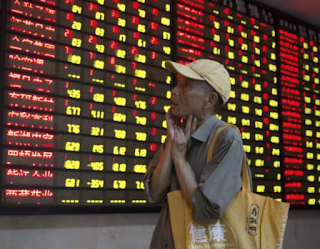 Private investors and depositors have said they do not believe the markets are safe. That does not matter. The governments will use their ability to create liquidity to get these financial firms alive even though everyone realizes the banks are not solvent and the government will not be able to make good on their plans. The QE programs have moved well beyond the providing of liquidity during a crisis to supporting fixed income markets and banks around the world. Central banks are the largest holders of Treasuries. The Fed does not have a creditable plan for reducing its balance sheet and is the market for many issues. 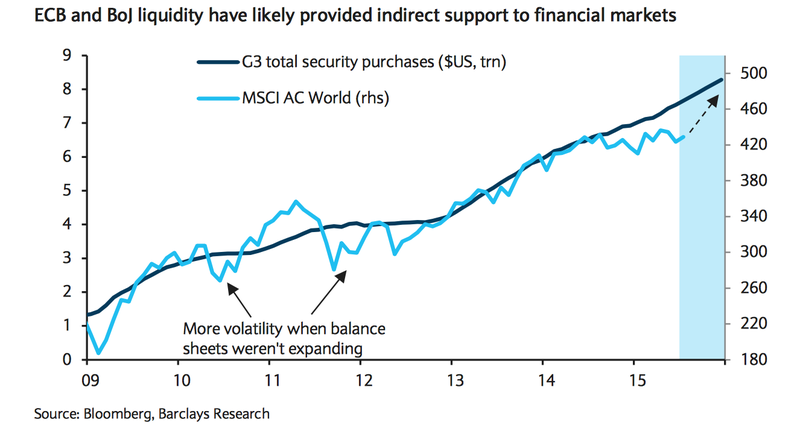 Central banks do not believe the markets can function without their support. "Markets too important to be left to investors"
I was speaking at a RCM Alternatives event in Boston with Ben Hunt of Salient Partners. 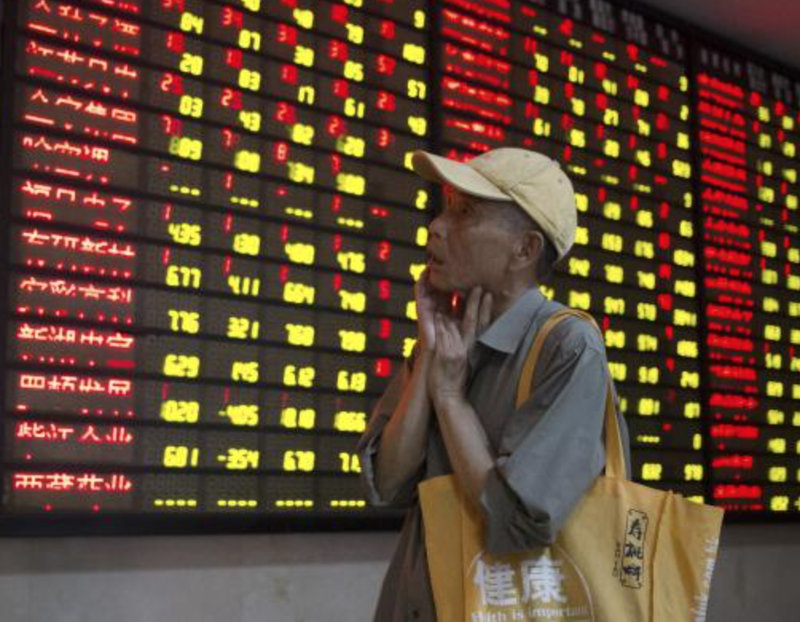 He made a very good point when discussing the actions of China to slow its stock market slide. It seems regulators and central banks believe, "Markets are too important to be left to the actions of investors." This phrase may sum up the view of all governments right now and what causes the low volatility. If investors want to get out of equity markets, we have to stop them. If investors do not want to make risky investments in fixed income, we have to force rates down and keep them down to ensure investors are willing to move money out the curve. Governments have to steepen yield curves to make banks profitable. Rates cannot be set higher because that will cause investors to rethink their fixed income holdings. We have to have regulations to control leverage, trading, and capital usage all to get the market results that governments want. We have to finance sovereigns when private investors do not want to hold. Do not get me wrong, there is a need for regulation in the financial sector and central banks have an important job to help stabilize business and financial cycles, but the goal should not be to replace the markets. What happens if the liquidity stops? If the Fed slows the growth of US liquidity, there is always the ECB or BOJ to pick up the slack on a global basis. Liquidity is not country specific. If capital markets are open and exchange rates are flexible, money will seek a home where returns are highest and move around the world. If liquidity is cut, it will flow out of the places that are least productive and back to the home country. This may be a simple story, but it can explain the growth of global stock markets. Central banks may not care if trade is an important part of growth. The chart above shows the result. When the slope of growth is flat, stocks have decline. When the slope is steep, stocks go up. The global markets have been lucky that when the Fed stopped QE3, soon there after the ECB announced and started their QE program. The BOJ also increased their bond purchase program when the Fed stopped their buying program. It was not coordinated but the timing was close enough to keep the liquidity growth high. Similarly, the markets have gotten an added boost from the Bank of China. A rate rise from the BOE may not matter as much globally given its size and the fact that other banks have added liquidity. The simple heuristic is that as long as gross liquidity across major central banks is growing, investors should hold stocks. If the slope flattens, get out. 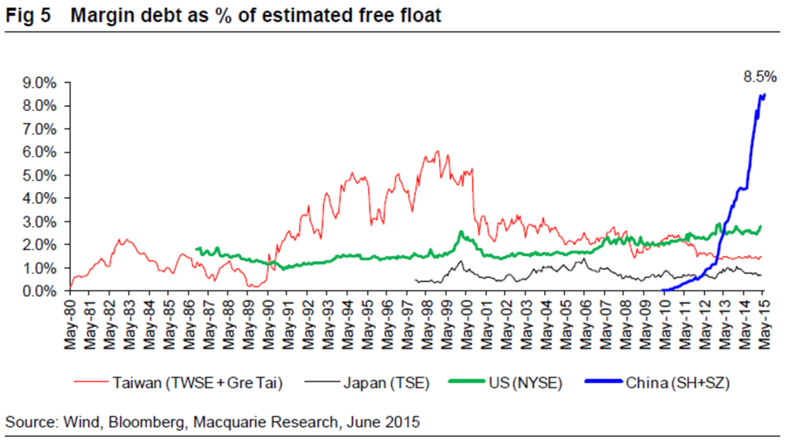 However, it is notable that a unit of liquidity is not the same across central banks. The MSCI seems to suggest that there is some exhaustion associated with liquidity, but more importantly, a dollar of liquidity is different than a euro of liquidity. The dollar, as a reserve currency and as the unit of measure for many loans, is more important. Dollar liquidity matters more, so a corollary for our thinking is that the slope of Fed liquidity should be weighted more. When analysts get negative .....buy? We know that Wall Street analysts always have a buy bias. It is really hard to get them to move to anything other than a buy recommendation except at market extremes. They have the belief that prices will always go up and there always is a reason for higher earnings or growth higher. 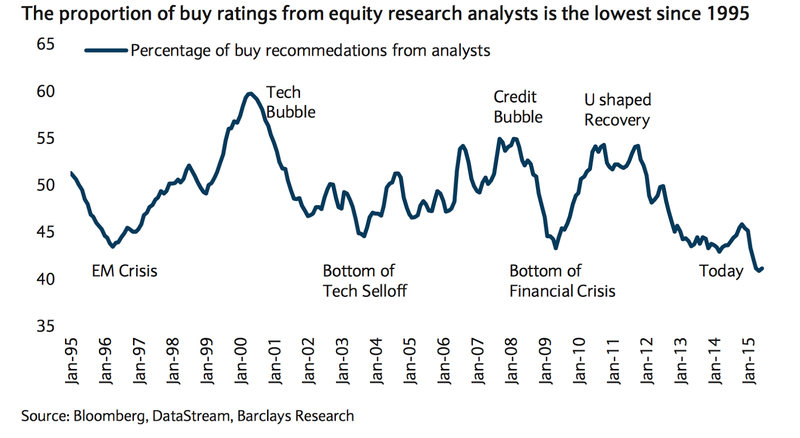 We should take note when the percentage of buy recommendations falls. 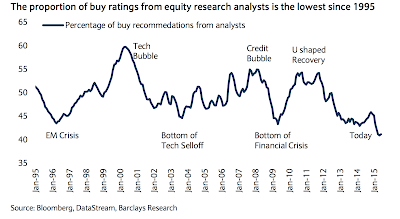 Current buy recommendations have not only fallen but have reached market extremes. The relationship between buy recommendations and future market is not perfect, but when the consensus for buys is low the current optimism for higher stock prices is just not present. Low buy recommendations means that if there is an increase in buy recommendations, there will be new interest in the market and future prices will go higher. If you believe that analysts are affected by current bad information, a low number may be a good contra-indicator for where future prices are headed. 5-year low on gold - what does this tell us? Gold is supposed to do well in a crisis. Unfortunately, the recent Greek and China crises have not been good for gold. In fact, it has been a period of further declines as the crises did not play out not a global flight to quality. It is not a given that gold will do well during a crisis. Gold is very particular on what it will respond to and there is not a pattern that can provide insight for investors. Gold is 40% off its price highs and speculative short positions are at the highest levels since 1995. The market hit highs during the last EMS crisis and when there was greater talk of inflation from QE. We now know that QE was not a recipe for inflation. Since that high, governments have been able to contain crises and inflation has not been a problem. 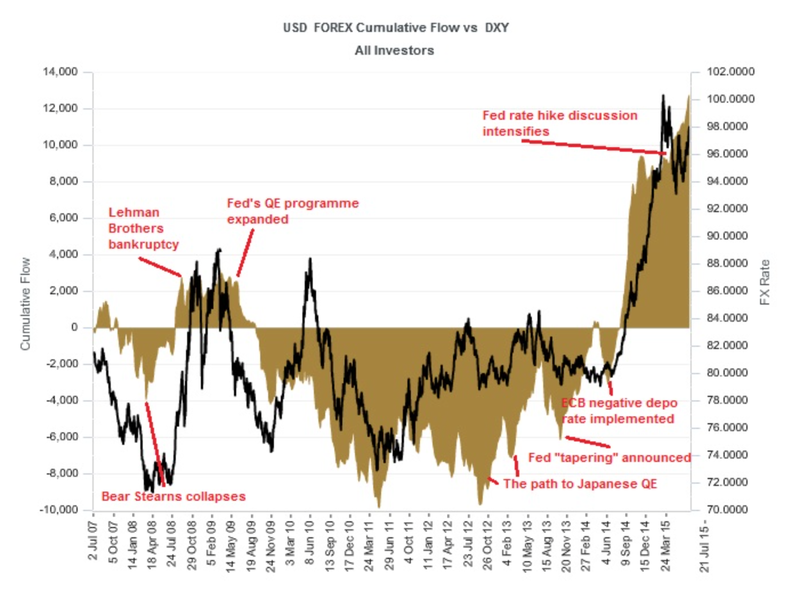 Real rates have been negative and nominal rates have actually gone negative, but that has not slowed the slide in gold. Liquidity from the G3 is in abundance, but that has not helped gold prices. The Bank of China revealed its gold holding which disappointed many investors. The PBOC does not want too much gold for its foreign reserves. Gold prices have declined with the better growth in the US and the strengthening of the dollar. Gold has moved down with other commodities over the last few years. There just is not a good story for holding gold except that it may reverse if the fundamentals change. A reversal story at this time is a not a strategy for buying but a story for hope. The FT/Towers Watson survey of the alternative assets provides good overview of the strength of the industry. The overall industry has pushed beyond $6 trillion dollars, but the growth has come through a change in the composition of the industry. More than 50% of the industry is being held by the top 100 managers. The industry is going to be controlled by the big managers and the start-up is going to continue to have problems gathering assets. What is also clear is that alternative investments are not the same has hedge funds. The alternative investment area is still dominated by private equity and real estate. Direct edge funds and fund of funds is still only 30% of the total. Pension and insurance funds are still the largest investors and hold just over 40% of the total with North America still the dominate place for investors committing capital. Managers have to realize that the competitive landscape is much broader than just managers in the a specific hedge strategy space. Hedge fund managers at a high level have to compete against private equity and real estate to truly prove their worth. Data is heavy. It wants to go down, not up in an organization. This quote has been sticking with me for a long time and may be one of the most insightful management comments that you will hear about data management. Who is doing the work to generate data? How is the data created? Who forms the graphics and presentation of data? Who is writing the text around data? When a question is asked and someone has to get the "facts", who is doing the digging. All data work is done down in the organization with conclusions send up to the top. Top management does not get involved with really looking at data. Even in money management, data is heavy with more junior analysts first doing the data work. The success of hedge fund may be clearly based on its ability to work with data throughout the organization. If the manager does not do some of his own quantitative work, beware. 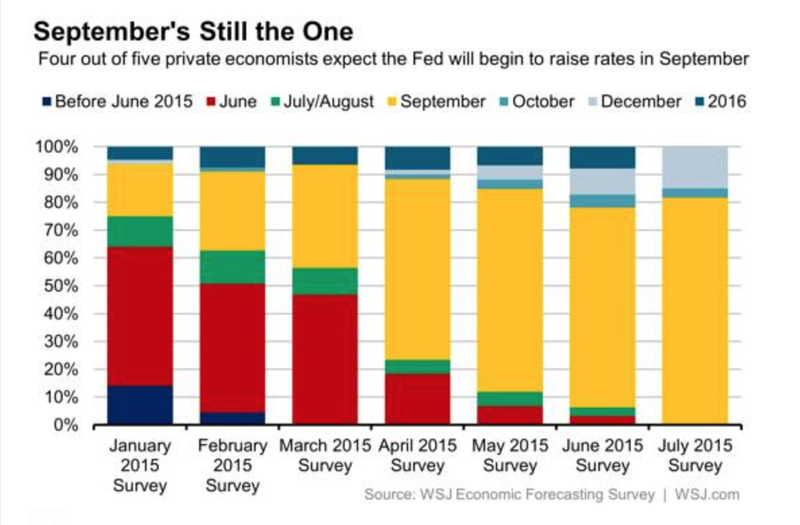 The best kept secret for the Fed is when it will raise rates. The uncertainty on when seems to be all but gone. There is no telegraph message but if you ask economists, 80% think it will be September based on what has been told the market. This moved from 25% at the beginning of the year. However, we will note that the Fed fund futures which is the aggregation of market opinions is a more suspect on September action. It is focusing more on December. Chairman Yellen has said it will most likely be this year, but all eyes are focused on September. The issue is now what will happen if the Fed does not raise at their September meeting. 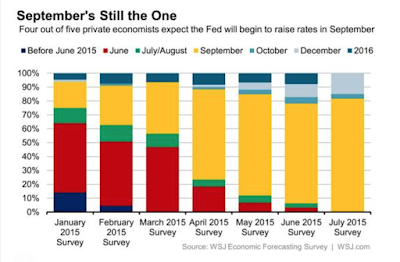 At this point, the Fed is almost locked into action in 2015 and many Fed officials handicapping September. Looking at the first case of some Fed action, there should be limited market response given it has been discounted by the market. The focus will be on the language and the path of gradualism. However, if there is no action in September there will be a much stronger market response based on the uncertainty. First, it will be a surprise. Second, it will confirm that something is going wrong with the economy. A delay will be associated with a global crisis or some weak economic numbers. There is less likely to be a global crisis issue given the Greece and China events have been dealt with through further kicking of the can down the road. Nevertheless, an increase in either crisis area will be a flashpoint for delay. In the case of economic data, there are only two months of data that can be announced and we are reaching the slower summer season. Inflation numbers are unlikely to increase and unemployment is unlikely to have any major surprises. There will have to be a new external surprise or a major change in US data. Both are unlikely. There will be some focus on the July Fed meeting at the Jackson Hole conference, but the glide path for September is clearly set by economics. The question is whether the market and Fed follows this story. The problem is the world changes out from under you if you're not constantly adding to your skill set. We have been in literally hundreds of due diligence meeting through the years with the same question asked, "What is your edge?". At times, you get tired of the same question as if you can distill experience and skill into a few sound bites. However, the two quotes above may be critical for any discussion about edge. Arie de Geus is the former head of strategic planning for Royal Dutch Shell. He seems to get the critical edge for any trading firm. Can you learn faster than your competition? You do not have to always be changing, but you have to add to your stock of knowledge and employ what you learn to get better. If you do that, you have an edge. The comment from Jeff Bezos could be a variation on the same theme. You have to constantly be adding to your skill set or you will fall behind in a changing environment. The markets, sectors, products, investors, and brokers are all changing and if you do not stay on top of market developments, you will fall behind. Learning and adding to skills is the critical edge in a changing world. 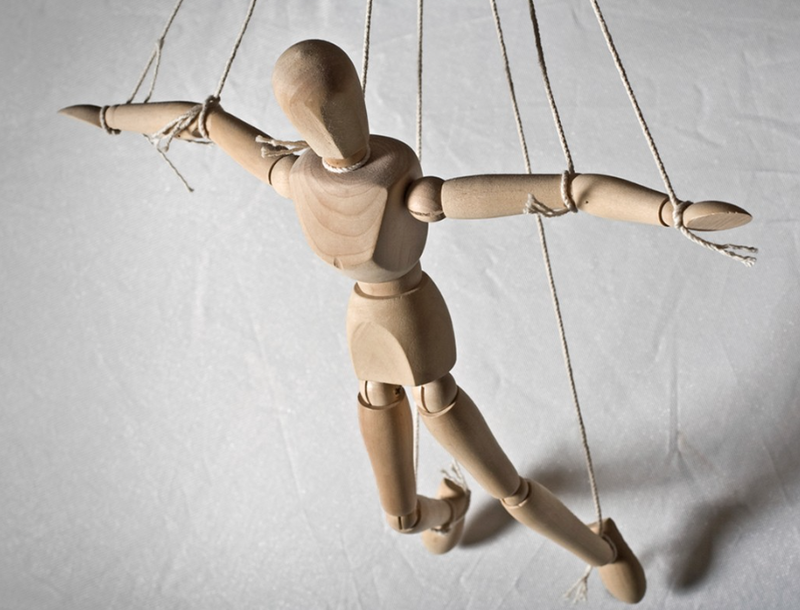 What is in the control of central banks? Former Bank of England Governor Mervyn King once quipped that central bankers aren’t really obsessed with inflation. What keeps them up at night is fiscal policy. Fiscal policy should keep us all up at night. The movement from austerity to profligate spending has been one of the biggest issues in macroeconomics since before the Great Recession. Raising rates by the Fed may have a small impact by comparison with what can be the effect of poor fiscal policy. At the spending extreme, we see the problems of Greece and Puerto Rico as just two examples of too much spending that comes back to haunt a government. To little spending in the US may have placed more of the burden on the Fed to serve as the only solution to the output gap. Fiscal policy is outside the control of the central bank, so it is an issue or worry that cannot be solved. Inflation can be a large concern, but it can be under the control of the central bank or at least it is their view that it is controllable. Poor spending decisions may require the central bark to follow policies it may not prefer in order to bail-out an economy from the fiscal issues. Japan is one perfect example where the burden has been on the BOJ to act because the government has been unwilling or unable to make reforms and actions necessary to improve the economy. The China market is out of control, that is, it is not in the control of the government and playing by any set of normal rules. 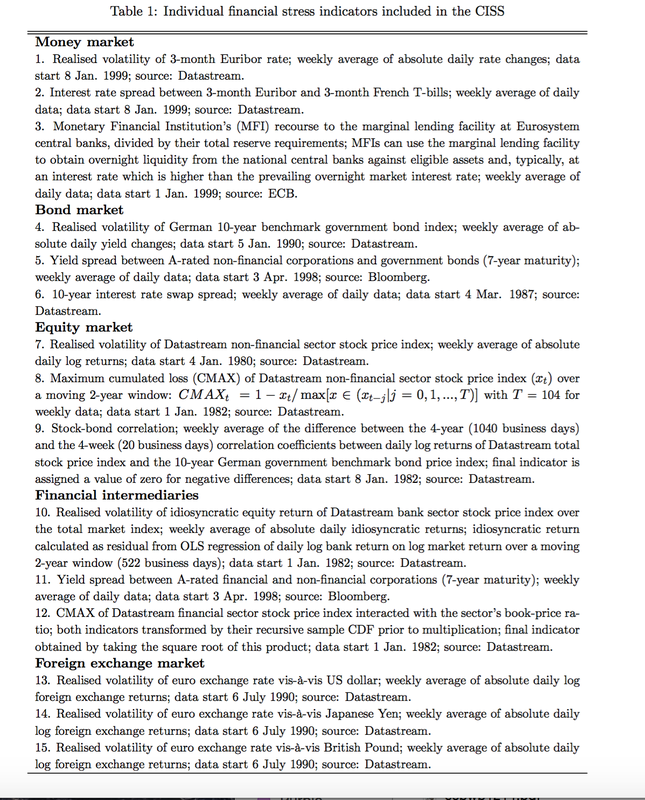 If it was following the rules, the stock market would be increasing as the government desires with more funds employed in stocks as an alternative way of financing, creating productivity increases, and supporting economic growth, but it would be doing this at a rate in a manner that would be consistent with current economic growth. Investors got the religion of investing last summer and then some which has lead to volatility that is 4-5 times greater than the S&P 500. The money supply that has been increased to help bolster the 7% economic growth target; however, liquidity and savings have lead to asset price inflation just like the US but at levels never expected. Commodity price inflation is declining and asset price inflation has exploded. This is what we have seen in other countries that have pushed money increases. The leverage increases have been accelerating at staggering pace. Now we are in a world where confidence has changed and the market is adjusting with a decline of just under 30% since highs set in June. The market is still up for the year, but this means that new money invested is underwater. 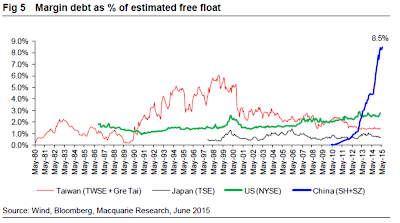 Margin debt may be close to 20% of the free float in the market. investors to the stock market have been hit hard. The response by the government has been been further decreases in interest rates, and micro policies to slow speculation but also stop further declines. There has been suspensions of new IPO's, relaxing of margin lending rules, more bank liquidity, and new stabilization funds totaling 120 billion RMB. Government officials and news services have asked for calmness from investors. There is an inconsistency between speculative restrain and pushing the market higher. Offering more liquidity and getting more buyers into an overheated market may not be a desired solution. The European markets did sell off this week on the move to a referendum in Greece, but many, myself included, were surprised by how muted the move was relative to the headlines. There was some contagion to other markets but again less than expected. Clearly, the capital controls are a new twist to the problem, but a referendum is not going to be a definitive event. We do have evidence for why the equity moves have been muted or at least we have data that supports the muted results. The ECB has constructed a composite financial stress indicator index which which they have been updating on a weekly basis. The last reading is from June 30th which includes data through the 26th of June. The CISS index has five subcomponents and 15 variable that are used to construct the indicator. The systematic stress indicator is looking for a single measure that affect all of the European economies. The indicator used are listed below. We expect that the reading will increase but the size will not match the previous periods of contagion. This weekly index does not have the most recent information but the levels of stress are no where near the levels seen in 2011 and 2012. Levels were higher in 2002-03. We may see an stark increase in the next reading but the overall tone is more subdued and does not suggest that the financial environment was in any danger close to the end of the month. 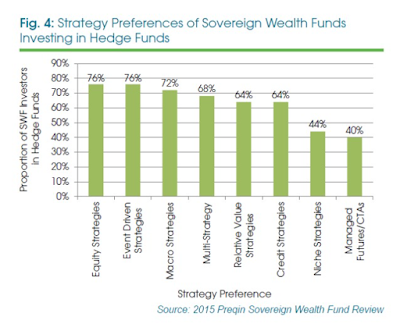 The hedge fund preferences of SWF's - why not managed futures? The strategy preferences of sovereign wealth funds in the Preqin survey provides interest reading for what it does not show. The penetration of equity strategies is a given as is the employment of event driven strategies which isolate a key source of alpha. Macro strategies are relevant as a source of dynamic beta and global situation. What is less clear is why managed futures is not held by even half of the SWF's in the survey. Granted managed futures have not performed as well as others in the post- crisis period, but the long-term performance has been very attractive and the diversification benefit cannot be easily matched. This suggests that the failure has to be deeper on why there is less preference for this strategy. It does not seem as though education should be the issue. Most have heard of the strategy. I believe the reasons may be twofold. One is an issue with investor and the other is an issue with managers. First, investors have algorithm aversion. We have written on this issue in the past on its impact on managed futures. Investors are uncomfortable with systems over discretionary forecasters. Second, managers cannot articulate the edge of what makes them different from other hedge funds and when they will do well. Quant strategies are harder to describe as an alpha producer. The value of risk management is also harder describe as a reason for choosing a strategy versus other hedge fund styles. Investors say they "eat" return not risk. Managers also have a harder time differentiating themselves versus their peers. How is one model different than others. Most investor do not want to take the time to learn the subtle differences across the statistics and modeling employed by managers. The burden is on the managed futures sector to better present their value-added proposition. If you want to discuss the reach for yield, ground zero has been MLP's. The strong consistent yields have been a place where investor flows have run to. 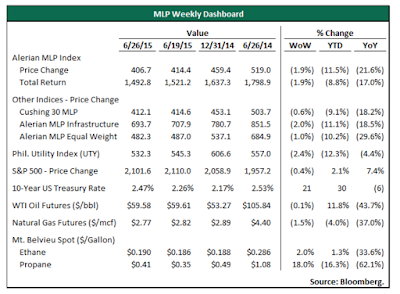 The "safety" of MLP was a key argument for their preference over high yield. Their higher yields made them more attractive to dividend paying stocks and corporates, but the decline in energy prices and the continued supply from issuers have changed the dynamics of this "cheap" source of yield. This is a "canary in the coal mine" for the what is going to happen with credit products if we have economic slowdown and a rise in interest rates. 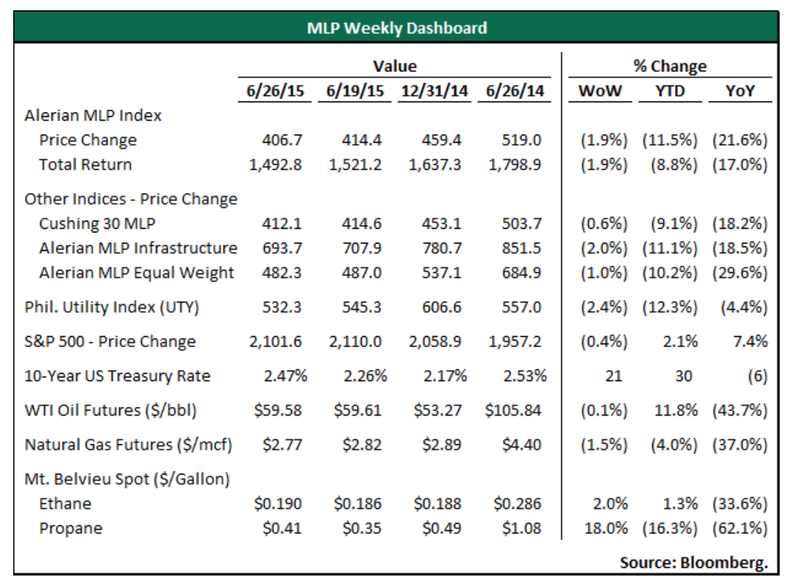 If there is a return of RO/RO trading, MLP's will see further deterioration versus other yield products. The search for yield may become the demand for safety sooner than we think. The two dimensional chart of price to book versus ROE can give you a good idea of opportunities in global equities across countries. 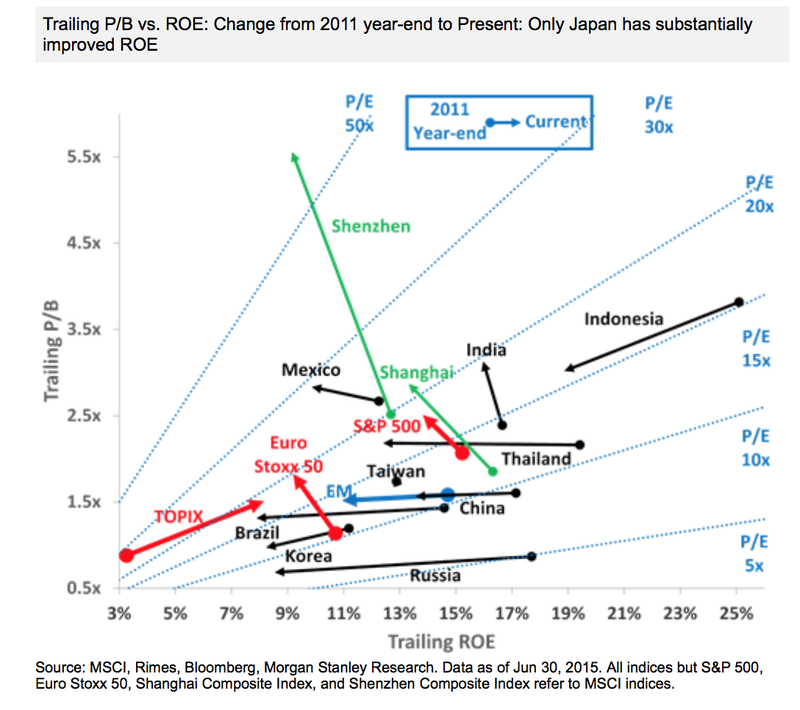 Hat tip to Morgan Stanley for the chart which shows how value has changed relative to ROE over the last few years. 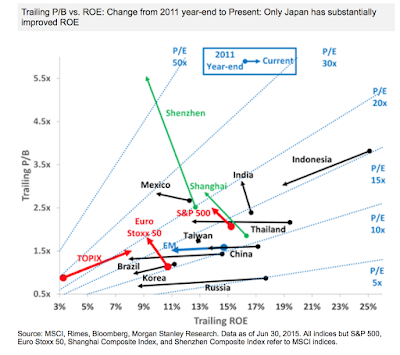 You get a clear idea that ROE are generally falling except for Japan. At the same time, there has been an increase in price to book across most countries. At best the P/B has stayed stable. The cheaper countries include: Brazil, Russia and Indonesia, but these have seen strong declines in ROE and have some unique country risks. The safe haven is the TOPIX. The controlled decline in currency with massive QE is still making the equities attractive. The latest information from NOAA suggests that we will have a stronger and longer El Nino that will last through the winter of 2015-2016. 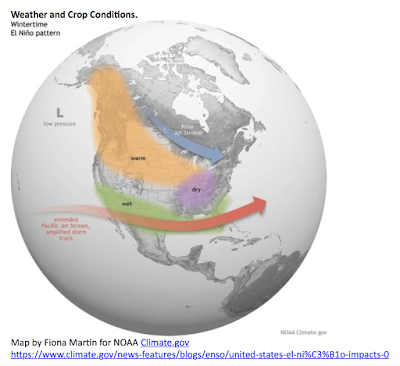 See climate.gov. The view is often that long-term events do to matter in volatile commodity markets but we beg to differ. It does matter how you position these risks. There may not be an impact in the front-month futures, but if you are trading out of the money option in the more distant futures there can be good opportunities to create high return to risk trades. We have had good rains in the Midwest but excessive in Texas. The wet Texas weather is consistent with a strong El Nino. 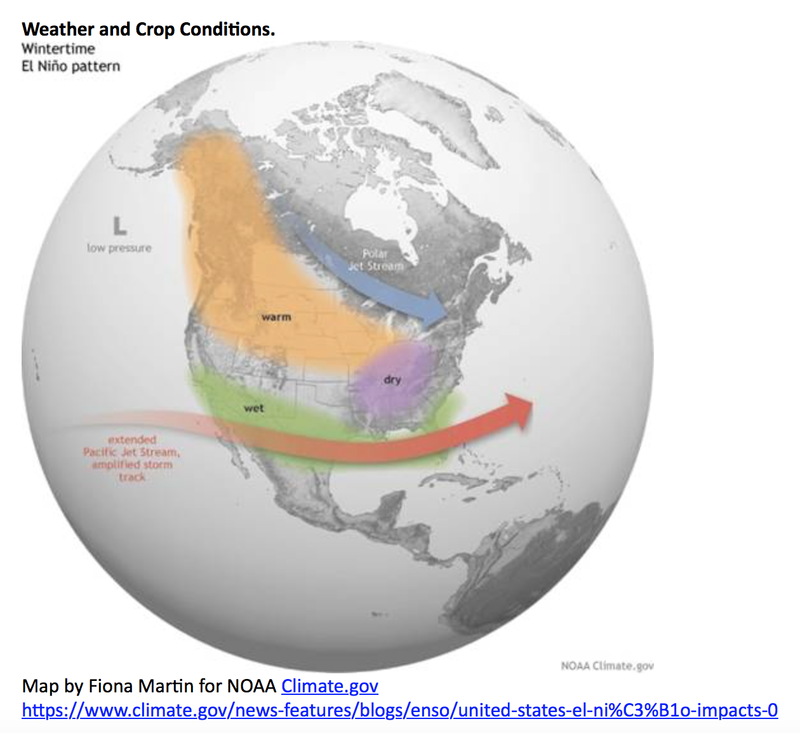 The weather forecasts are weighted to dry weather in the corn belt. The timing for these option trades is now. There could be Greece fatigue. Europe and the rest of the world have discounted failure and seems ready to move on. This is what the price action of the last two days suggest, but we view that the ramification for central bank behavior and risk averse trading are significant. Hard to argue for Fed action with the Greece overhang. Tightening delay and RO/RO trading back. Yet, behind this backdrop is strong growth in the US and the developed world that is providing some tailwinds for higher asset prices.